Computer RPGs were once thought of as a fading genre. With computer graphic technology increasing at what seemed like an exponential rate, it was hard to think that we’d ever go back to games like Baldur’s Gate with hand-drawn levels. 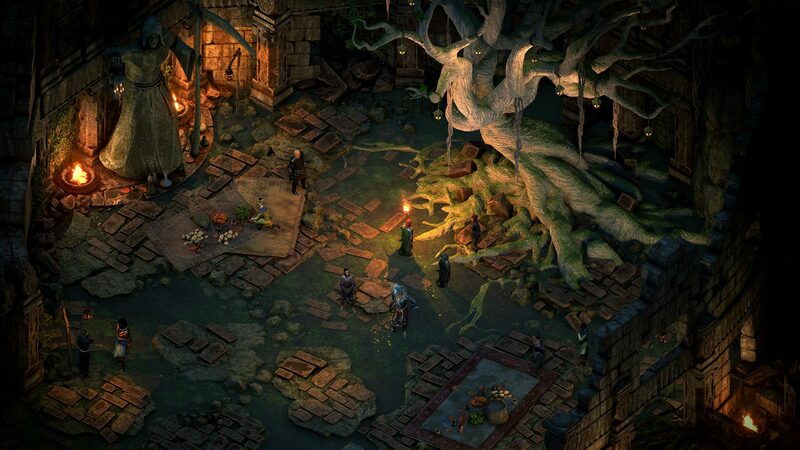 As the recently released Pillars of Eternity II: Deadfire proves, we were wrong. Before we dive into Pillars of Eternity II: Deadfire I wanted to share an anecdote from my yesteryear. Stay tuned for the anecdote or scroll past to get to the review. When I worked at Electronics Boutique back in the early 2000s, we had boxes of PC games that riddled the back wall of the store. My computer at the time was not very good and could only run games at low specs. I mainly played Everquest and The Sims on the PC and didn’t really experiment outside of those games unless a friend had an install disc. I was too into PlayStation 2 and Gamecube to bother to test out anything else. I will always remember walking by those shelves and stocking Icewind Dale. The box art was beautiful and always caught my eye. On slow nights, I would tidy up the PC game area and pull down some boxes to read and admire. Co-workers always commented on how great the Icewind Dale and Baldur’s Gate games were, but I never tried them. My teenage brain didn’t want to think about managing multiple characters on screen, each with their own unique sets of abilities, in real-time. Give me Final Fantasy X or EQ over these games anyday, I childishly thought, these games are from a bygone era and won’t return. Why start playing them now? 10+ years later, here I am playing the remaster/enhanced edition of Baldur’s Gate and loving it, kicking myself for not playing it before. After that I jumped immediately onto Pillars of Eternity and loved it. Now we are greeted with the sequel to PoE that we’ve all been anxiously waiting for. Does it carry the torch of the total CRPG experience? CRPGs are known for their story. 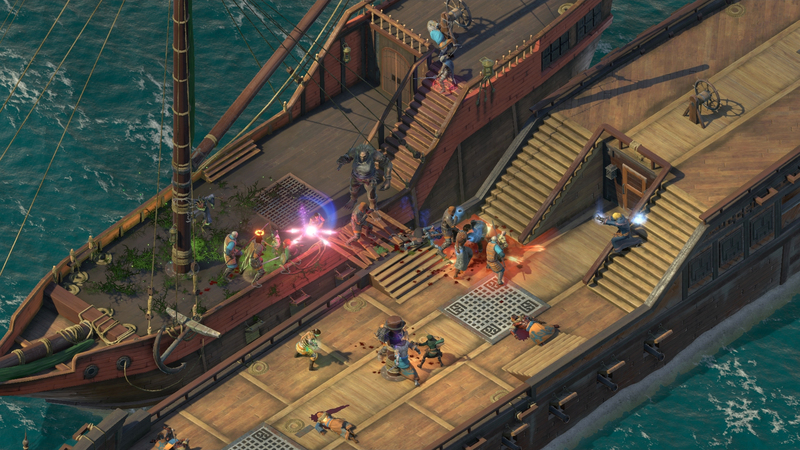 Pillars of Eternity II: Deadfire is no exception. Picking up where its predecessor left off, the Watcher is charged with another task to save the very souls of the people who inhabit the world of Eora. I don’t want to spoil this game for you at all, because it’s too rich and should be enjoyed by the player. What I can say is that it is very, very good. Okay I have to spoil it and PoE I a smidge. Caed Nua is destroyed by the revival of Eothas, the god responsible for all the misfortunes of the first game. He takes on a giant form that not only destroys Caed Nua, but you, too. You’ll traverse the ethereal plane to pick up your story where your soul has been left off, but don’t count on being able to import your save game files from PoE I. You will answer a couple of questions to figure out how you played the last game and will then re-roll your Watcher. After spending many hours in the PoE I, it was all too easy to resurrect my character from the character creation screen, but I did appreciate the new details Deadfire offered. With that out of the way, you start your journey back to the land of the living. You are hot on Eothas’ trail but your ship runs into some trouble with the storms. Thus begins your journey to save the people of the Deadfire Archipelago from not only the destruction by Eothas, but also from themselves. You’ll reunite with some familiar faces and meet some new ones, which I can appreciate in a sequel. Mixing old and new is safe, but how you decide to use these characters can still open up to the unexpected with regards to the story and player development. Also, Obsidian is invested in their stories with this being one of the few sequels to one of their own games. I’ve seen some mixed feelings on the re-use of party members, but in no way does it detract from the story. 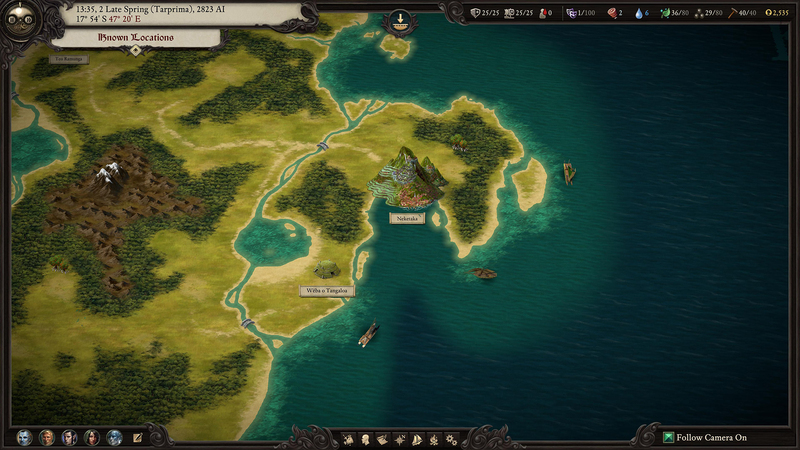 It also offers some familiarity to returning players while they navigate the other new features of the game. If you’ve played PoE before, there isn’t much that’s changed here in terms of how the game plays. You have one less party member to manage, which I was totally cool with when I previewed the game back in early 2018. AI has improved for the party, so you can be a little less hand-holdey in battle, which is also cool. Combat still functions the same as in PoE I but can be streamlined more with the improved character AI and less party to manage. There is still plenty of strategy, but it’s now more forgiving to forget about a party member’s actions for a short bit of time. The inventory management looks exactly the same, but the character skill tree has some subtle differences. Multiclass is also a new addition to Deadfire that I was too timid to try. Not only can your created character multiclass, but your party members can, too. Again, there is already a ton to learn for each character’s skill tree and progression, so I’d recommend this for more experienced players (which the game also advises). I’ve detailed a lot of this in my preview and nothing has really changed since, so let’s move on. Dialogue has some new interesting twists due to your ability to reference past events based on your character’s background from PoE I. It’s fun to explore these branches of dialogue when speaking with NPCs. You’ll also have the skill-based dialogue selections like in the previous installment. However, it felt like there were more dialogue options in my review playthrough than I remember experiencing in PoE I. This may have something to do with the immediate gain of party members with certain sets of skills, although I have no way of testing this. The flip-side is that my character and party members were still low level, so having multi-dialogue arches this early left me wishing I had one party member who dumped all of their skill points into only one or two components in order to unlock these. Choices still matter and situations can be handled diplomatically as well as by force. The writing is still very strong, but can be extremely dense at times. Playing PoE I really helped ground myself in the story and all the players involved, but I can imagine someone picking this up for the first time would have difficulty keeping track of past events and the gods responsible for them. Obsidian does allow you to hover your mouse over names and terms that you may not be familiar with and defines them for you, which beats writing everything down. The voice-over work was being finalized in the review copies of the game, so I won’t touch that in this review. I do know that there will be an additional voice pack featuring the cast of Critical Role, which should be an awesome addition. Navigation is a huge improvement, partially due to the new ship element. 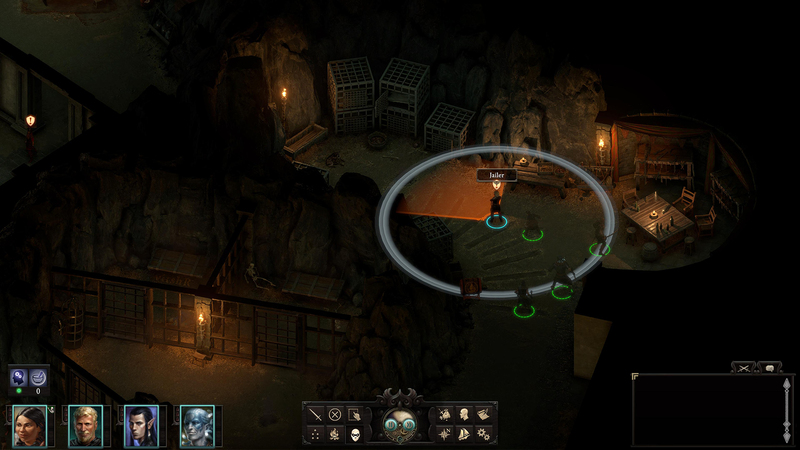 Moving around the map is so much better in Deadfire! Wandering around the islands, looking for points of interest or hidden areas adds a whole new layer of fun. I know this will be adding to the hours that I will be dumping into the game. The areas you discover may only be a quick “looks like you found some item while searching” to a strategic encounter with NPCs or enemies. These play out initially like reading a storybook (similar to ship navigation – we’ll explain later) where you “choose your own adventure” on how you want to approach these areas or interact with characters. These encounters add a nice mix to the gameplay and gives these islands more character instead of simply navigating from city to village to quest locations. However, only having one location to discover on a decent sized island can be kind of lame. You’ll waste time looking around on foot, so it’s helpful to sail around the island to chart it out before spending a day’s worth of resources to find only one village. Core Pillars gameplay aside, let’s dive into the biggest addition here – ship combat and management. Sailing the high seas will open you up to meet up with some unpleasant pirates looking to plunder your ship. Instead of handling this like Sid Meier’s Pirates with real-time combat, you’ll be taking ships on through the choose your own adventure style gameplay that I referenced earlier. You’ll be charging, maneuvering, and firing your cannons in turns, which you are able to perform one action per turn. Your first encounter may seem daunting because there is really no way to learn what to do other than to get into a fight. There are tutorials, but they are only so helpful, so save early and often. I ended up taking down some low level ships with relative ease, but I know that there are bigger fish out there waiting for me. In order to do any of those actions, you’ll need crew members to help. As you float around the Deadfire Archipelago, you’ll run into NPCs who you can recruit to help man your ship. You can also hire members by speaking to local tavernkeeps. There are a variety of positions aboard the ship, including helmsmen, navigators, and deckhands. You’ll also need to service the needs of your crew with cooks and surgeons. Moving around the map uses up food and drink, along with wages. 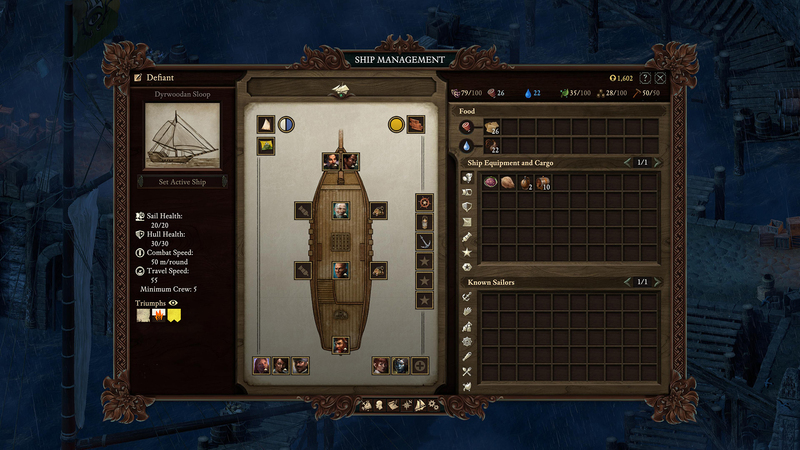 Managing your crew and resources adds another layer to the game kind of like Caed Nua did in PoE I. Personally, I like getting in the weeds with stuff like this, so I was constantly keeping tabs on my ship and crew. Ship battles and management are another welcome addition to the game, but I can see the storyboard style of fighting becoming tedious if battles are drawn out. Real-time display of your selections would be helpful, but from what I understand, this is a limitation of the engine, not of Obsidian’s imagination. We’ll just have to see how it goes after another 15-20 hours! I’m likely going to keep coming back to this game as future DLC hits over the next coming months. 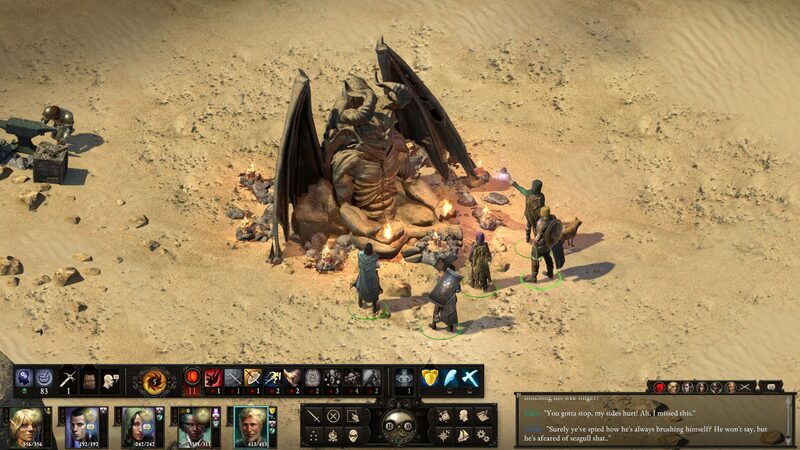 Obsidian has crafted another excellent tale and taken it to an epic. The mix of story, combat, and management all play together nicely in the hand drawn world of Eora. 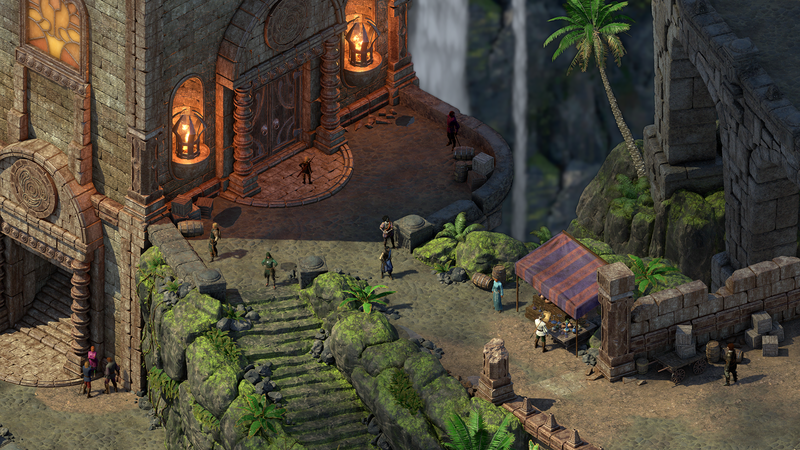 If you are in the mood for a rich and rewarding RPG experience, then you don’t want to miss out on Pillars of Eternity II: Deadfire. This review is based on a beta-release copy of the game provided by the publisher.